Four months after Ben disappeared through the portal to his home universe, Janelle believes she’ll never see him again. Her world is still devastated, but life is finally starting to resume some kind of normalcy. Until Interverse Agent Taylor Barclay shows up. Somebody from an alternate universe is running a human trafficking ring, kidnapping people and selling them on different Earths—and Ben is the prime suspect. Now his family has been imprisoned and will be executed if Ben doesn’t turn himself over within five days.And when Janelle learns that someone she cares about—someone from her own world—has become one of the missing, she knows that she has to help Barclay, regardless of the danger. Now Janelle has five days to track down the real culprit. Five days to locate the missing people before they’re lost forever. Five days to reunite with the boy who stole her heart. But as the clues begin to add up, Janelle realizes that she’s in way over her head—and that she may not have known Ben as well as she thought. Can she uncover the truth before everyone she cares about is killed? It's been four months since Ben Michael's slipped into the portal that sent him back to his home universe, and with the crumbling world that has been swarmed with natural disasters that left earth in catastrophe and the insane amount of missing people disappearing, Janelle has been doing what ever she can to find some kind of normal. That is, till IA Taylor Barclay shows up at her doorstep. He knows what is happening to the missing people. Someone is organizing a massive human trafficking ring and stealing them through the portals. And Ben, is the prime suspect. So when someone she loves also goes missing, Janelle doesn't have a choice but to go with a man she doesn't trust. The countdown begins. Five days. Five days to find Ben. Five days to prove him innocent. Five days to find the missing people and Five days to solve this case before all hell breaks loose and Janelle may lose someone else she loves. Unraveling was one of those books where I simply couldn't get enough. I adored the world Norris creating, it's characters and the riveting plot. So I couldn't wait to get this book in my greedy little hands. Unbreakable is an unstoppable sequel that will leave you breathless and on the verge of your seats! I gotta tell ya, x-file kinda stories isn't something that I've ever been really interested in. They tend to really freak me out and give me the hebejebes since they feel so realistic, but the way Norris tells it makes me want to be a fan. This book felt like one giant roller-coaster. It's constantly moving with suspense and excitement. The pages couldn't turn fast enough I was reading so fast. The story line -human trafficking- did make me feel very anxious and uncomfortable at times, it's not exactly a light topic after all, but Norris didn't make it overly graphic and it made the entire situation feel more desperate and worth fighting for. But during the running and planning and escaping, we also have a really great love story. Ben and Janelle have one of those magical connections that you can't help but want to hug. I've really missed these characters and was surprised how attached I felt for them. Janelle is all kinds of awesome. The length in which she'll go to save the ones she loves is inspiring. She may have had a doubting thought here and there but it's only natural, anything else would have felt fake. Ben wasn't in this book till almost half way. But once we do get him back it's like he never left. His part in this whole plot was shocking but justified and I still love him to bits just as much as the first book. It was good to see Elijah again, mouthy as ever and rough around the edges, but still good people. And last but not least, Barclay really surprised me in this book. The man as stepped up and really took the lead in this book. He's earned my respect. All in all, I had a blast with this book. This is one of the better sci-fi thrillers I ever had the pleasure of reading. It's gripping and entertaining and I loved the rush I felt while reading this. Fans of Unraveling will not be disappointed! I also heard somewhere that MTV has the film rights to these books with the plans to make them into a TV series and I have to just take a minute and applaud that decision. It's gonna be epic. A perfect hit for sci-fi and x-file junkies as well as fans who love a romance worth fighting for! I can't wait to see what Elizabeth Norris comes up with next. Wanna win this incredible book???!! Just fill out the form below! Good luck! 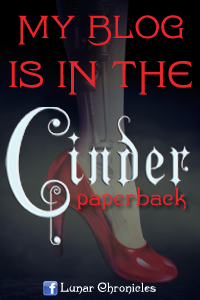 Cinder by Marissa Meyer is definitely an amazing scifi novel! I love the Across the Universe trilogy by Beth Revis! so many books to choose from! But i really like Cinder as of right now i have to say since it popped up in my head first. I don't read much Sci Fi, but I think Unraveling was my favorite so far. It just felt so real. Like when they're describing the world at the end it sounded like how my town looked after Hurricane Sandy. Creepy! I was so impressed with Unraveling as well. The entire story felt so real and it made me shutter! Thanks for the great giveaway! I just finished Insurgent (I know, I know... I'm always waaaay behind everyone else) and it was awesome! Cinder:)thank you for the giveaway! 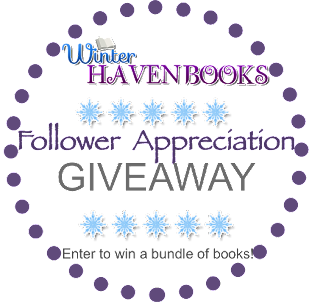 Sorry I haven't read any Sci-Fi books yet I have to go with Cinder I have the book but haven't read it yet and I also hear Across the Universe trilogy by Beth Revis is a really great Sci-Fi book too thanks for the givaway! I need to read Scarlet! Me too! A sci-fi fairy tale twist. Brilliant! Rise Of Nine by Pittacus Lore!! I love Cinder and Partials. Thank you for the giveaway! =) It´s amazing. Great review. Thanks for the giveaway. My favorite Sci-Fi novel would have to be False Memory by Dan Krokos. The Knife of Never Letting Go and the rest of the Chaos Walking trilogy by Patrick Ness. Those were awesome!